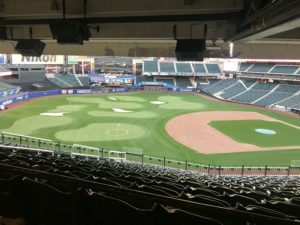 Golf Pro Delivered just completed a successful weekend working with Stadium Links at CitiField in New York and is headed to Houston and Anaheim for future Stadium Links Events. To learn more about Stadium Links, see: www.stadiumlinks.com. We put in two simulators, a putting green, a chipping area, all in the Porsche Grill at CitiField for the VIP attendees of this amazing golfing events. Corporations sent employees, mothers and fathers brought their aspiring young sons and daughter golfers, and men and women came to the event at least as far away as Philadelphia. Hitting golf balls at a major league ballpark is an event to remember. Golf Pro Delivered made this a very, very special event and we showed that we can fit two simulators, our putting green, and our chipping area in hotel lobbies, large restaurants, on rooftops of buildings, office building lobbies, and so many locations to serve corporate and nonprofit events, charity golf events, employee, customer, and tenant appreciation events. 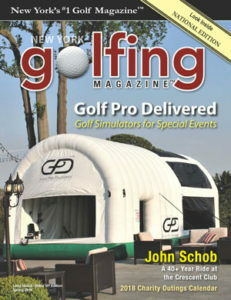 Golf Pro Delivered several hundred golf lessons from five to thirty minutes this past weekend at CitiField. For our events, we always draw a crowd and we can provide a meaning full swing, chipping, putting, or grip lesson in five minutes. See our two blog entries on The Five Minute Golf Lesson and The 5 Minute Golf Lesson!